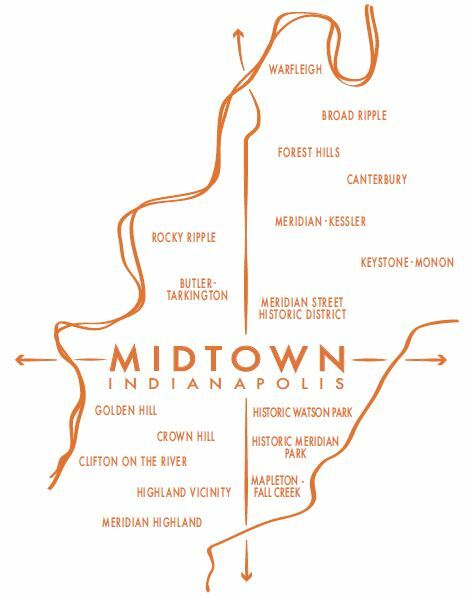 Odds are good that, if you live in Central Indiana, you’ve been to Midtown. The 12-square mile are from downtown to Broad Ripple is full of rich cultural opportunities, historic neighborhoods and exciting community events. Not the mention a host of restaurants, bars and eclectic shopping. The midtown region is home to several annual events that residents and visitors alike look forward to, including the Midtown Indy Holiday Home Tour and the Penrod Arts Fair at the Newfields. There’s always something to do in Midtown, such as take a walk on the Monon Trail or spend the day at the largest children’s museum in the world, the Indianapolis Children’s Museum. Now if you’re a foodie or just enjoy trying out new restaurants and bars, the food scene in Midtown is growing at a rapid pace. Craft breweries and distilleries continue to pop up all over town, and the live music scene offers everything from cover bands to eclectic jazz. Visit the resources below to explore all there is to experience, see and do in Midtown. The world's largest children's museum. Explore beautiful Crown Hill Cemetery. Arts education for all ages. There’s always something happening in Midtown Indy. Check out the official tourism site of Indianapolis. Find your next experience using the world’s largest event technology platform. From food and music to the arts, the Star features people, places and events that make Indy one of kind. Indyhub’s mission is to connect people with all kinds of events and opportunities around Indy. Live music, happy hours and so much more. Check out Do 317. Search family-friendly events at indyschild.com, Indiana’s popular parenting resource. Indy’s alternative voice, Nuvo offers restaurant reviews and commentary on the Indy scene. 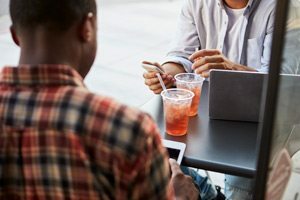 Locating restaurants or events, plan your next Midtown visit with Yelp. Visit Thrillist if you want to know where the current restaurant or bar hot spots are in Indy. There’s always something to do in Midtown. Here’s a list of just some of the region’s exciting attractions. Clowes Memorial Hall at Butler University: Have your breath taken away at this arts center at Butler that puts on a variety of performances and theatrical events throughout the year. Indianapolis Art Center and Art Park: Filled with over 50 art exhibits in six galleries this is the place to take the kids for a small get away with summer camps and art classes available. The North Meridian Historic District: Have your history enriched by viewing the homes erected between World Wars I and II that were home to some of Indianapolis’ most wealthy elites. The Monon Trail and Greenway: Get exercise and fresh air while taking in the beauty of Indianapolis on this 10.4 mile trail that extends from 10th Street all the way to 96th Street in Carmel with connections to the Canal Towpath and Fall Creek Greenway to further your exploration. The White River: This two-forked river flows throughout most of Indiana allowing for many activities take place such as kayaking, canoeing and fishing as well as the chance to see the alluring nature Indiana has to offer. Indiana State Fair Grounds: There is always something to do as events take place here all year long such as the State Fair, performances, different exhibits and family fun activities such as ice skating. Newfields: Here relaxation is easy with captivating art exhibits as well as an 100 acres of land sprinkled with world renowned art works. The Children’s Museum: Redefine children’s entertainment and learning with the world’s largest children’s museum that is home to over 120,000 artifacts, sitting on about 29 acres, and is a 473 square foot facility. Butler University: Visit and explore this beautiful Indiana accredited university that is about 3 miles from Broad Ripple and 5 miles from Downtown. Marian University: Step foot on this close-knit and family focused Indiana accredited university that is about 10 minutes from Downtown that is specializing in preparing all for life and success. Crown Hill Cemetery: Founded in 1863 and consisting of 374 acres, Crown Hill is one of the oldest cemeteries in Indiana. It’s well-used for recreation and public events. Offering one the most stunning views of downtown, its historic offerings are endless. The Central Canal Towpath: Another way to be mesmerized by Indy’s beauty is on this trail that stretches 7.7 miles from Broad Ripple to the west side of Downtown Indianapolis. Christian Theological Seminary: Enrich your body, mind, and spirit at this Accredited Ecumenical Institution located close to Butler University that is focused on bringing all together.